The question of whether or not a new Audi RS4 is coming has been quite confusing recently. While we had our suspicions, we held off from chiming in until we found cold, hard, well-sourced facts on the matter. Which is precisely what we've read today. Published by Britain's oldest motoring magazine, Autocar is confirmation directly from the Head of Development at quattro GmbH, Stephan Reil. 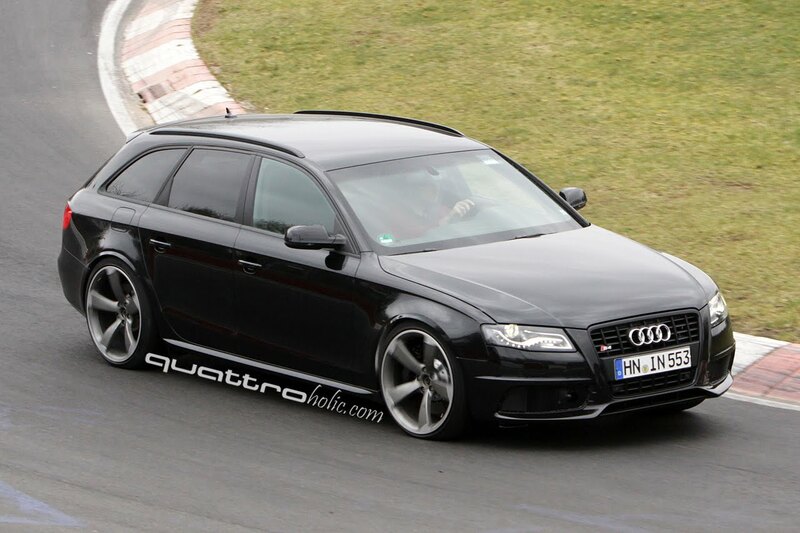 According to Autocar's quote from Reil, the Audi RS4 will indeed be built and be coming in Avant form only. More after the jump. When asked about the fate of the RS4, the quattro GmbH boss confirmed to Autocar; "We will continue with the RS4 Avant, which has traditionally accounted for the majority of European sales," said Reil, "but our research suggests the market for a saloon version is now rather limited." According to Autocar's report, the next generation (based on the facelifted B8 platform) Audi RS4 Avant will feature the same high-revving, 450 horsepower 4.2-liter V8, 7-speed dual clutch transmission and quattro all-wheel drive with torque-vectoring rear differential as currently found in the RS5. In addition to the details above, the report notes that new Audi RS4 Avant is set to debut at this year's Geneva Motor Show in March. The question remains however, will the next RS4 make it to the U.S.? We're not holding our breath. Click here to read the full article from Autocar. For more spy shots, check out our earlier stories HERE and HERE.